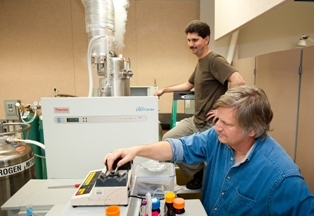 Dr. Joe Beckman is a professor in the Biochemistry and Biophysics department as well as the Ava Helen Pauling Chair in the Linus Pauling Institute. Oregon State University has honored him by naming him a Distinguished Professor along with College of Engineering, Thomas Dietterich. To read more about his recent accomplishment, visit LIFE@OSU.